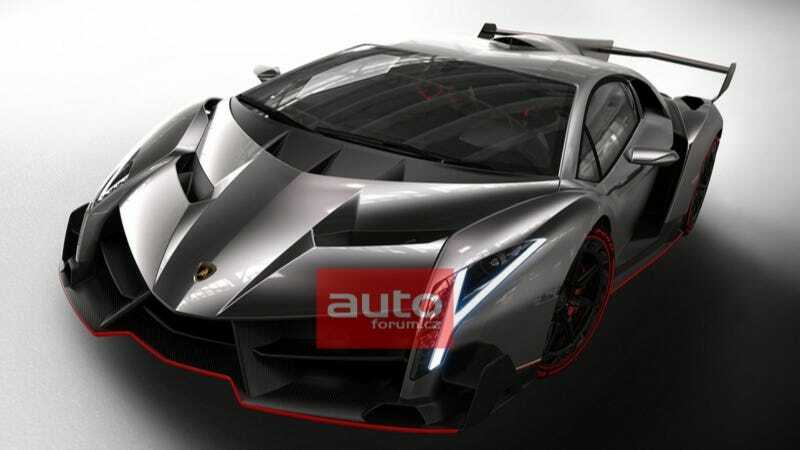 How deep is your lust for the insane $4.6 million Lamborghini Veneno? A Czech auto forum has uncovered even better photos of the three-off hypercar that debuts at the Geneva Motor Show this week, so it's looking like this thing is for real after all. In addition, GT Spirit has a better version of the magazine scan photo we showed you earlier. I certainly can't wait to see it when it's fully revealed at Geneva this week. Until then, these leaked manufacturer photos will do.